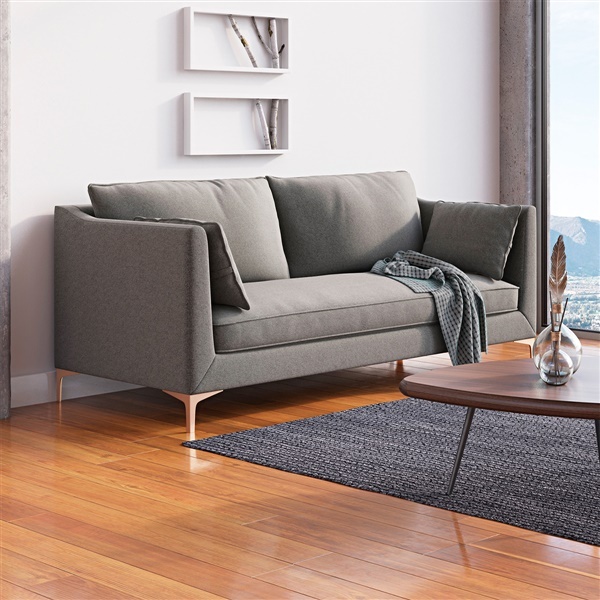 Featuring a simple clean-lined design with just enough contoured curves, the Ava Sofa cleverly brings together classic sophistication and contemporary streamlined style. 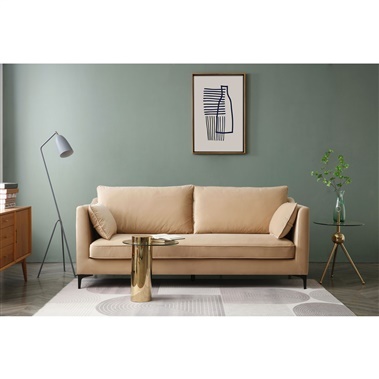 Up for grabs in an array of Luxe Soft Weave fabric upholstery options, the Ava Sofa also offers the lush comfort of dense memory foam, while slender yet stable metal legs add the subtly glamorous gleam of a soft gold finish. Available in various neutral or bold hues. Easy to clean and ultra durable for long lasting use. Metal legs feature a gleaming gold finish. Added layer of memory foam provides maximum comfort. The high armrests really make the difference here - I love that the armrests create a deep seating, it's a very comfortable design, thanks! The gold finished legs are what sold me. This sofa is so simple yet so elegant. Ordering was as easy as the decision to buy this! Thank you Inmod for another great purchase!! ProsThis sofa is sturdy and comfortable at the same time. Ordering was simple on the site. My daughters name happens to be Ava and what are the odds that the sofa I fell in love with happens to be named after her?! (thanks Inmod). Ordered this and when it arrived the delivery company brought it in my house (which I paid the extra for and was well worth it). When it was in place it absolutely completed the room. Love it. The overall depth from the front to the back of the sofa is 34.6". how many inches high are the legs? The leg height for this sofa is 5.31 inches.